We don’t stay at Hyatt all that often, but with a brief stay at Hyatt Regency La Jolla recently, we’re geared for the double points bonus. But without regular Hyatt stays, how can we benefit from this? 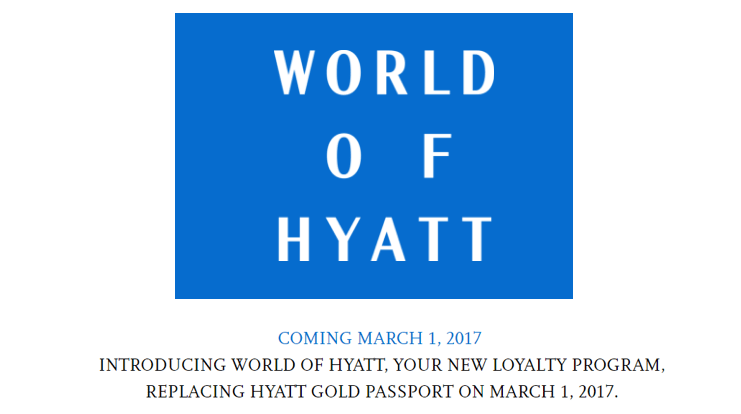 As you’ve seen from previous posts, there’s a partnership between Hyatt and MGM Resorts. At MGM properties, you can earn MLife Rewards points and World of Hyatt points for qualifying spend, as well as World of Hyatt qualifying nights. At Hyatt properties you can earn qualifying nights toward Hyatt status, as well as points on one or the other, but not both. You need to be a member of both programs before checking out to take advantage of the partnership. Based on word from Frequent Miler, stays at MGM properties count toward this promo. So instead of the 5 base Hyatt points per dollar of eligible spend, you should earn 10 base points. And then there are the 25 MLife Rewards points per dollar as well. We have two weeks of MGM stays coming before the end of the promo, so this should be a pretty good bonus. Considering that MLife Rewards points don’t have a particular cash value, the real value comes from those Hyatt points. Points have a wide range of valuation depending on how you redeem them, but The Points Guy values Hyatt points at 1.8 cents each, so you’re getting an estimated 18 cents per dollar spent. To give a quick real-world example, a Friday to Sunday stay at the Hyatt Regency La Jolla at Aventine later this month would set us back 15,000 points per night, or $199 for a non-prepaid cash stay. That’s about 1.33 cents per point, earned with $1,500 in MGM Resorts spend (which for a week-long conference is probably a pretty easy amount to reach) or Hyatt spend if you lean that way. A Regency Club room with lounge access would be 21,000 points or $244 cash, 1.16 cents per point, but you get the concierge lounge and some drinks and snacks as well as continental breakfast. Or on the other side of the partnership, a night at Vdara at Aria Las Vegas (on October 17, because the weekend above wasn’t available for points) runs $246 or 20,000 points, which is 1.23 cents per point (before the mandatory resort fee and taxes of course). A Deluxe Suite at Signature at MGM Grand for the same date is $399 or 20,000 points, which is 2.00 cents per point. And a Delano suite would be $449 or 25,000 points, 1.80 cents per point. Will you be taking advantage of this bonus offer? Any questions (or answers)? Join us in the comments below. Update (2017-05-05): When our stay at the Hyatt Regency La Jolla posted to our World of Hyatt account, we noticed that we had double points under the promo. It turns out that the MLife stay for the Jimmy Buffett concert on April 1 counted under this promotion. So this week’s stay went through as the second stay during the promo period. Odds are most readers won’t have hit this, so if you’re planning a long Hyatt or MGM stay in the next two months, you might consider a cheap one night stay before then (perhaps at a Hyatt Place) if you think the extra points will be worth it.